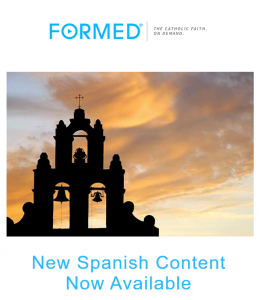 In celebration of our Lady of Guadalupe, FORMED, the Catholic media resource available to CMF CURO members, announced the addition of books, movies, and talks in Spanish. Discover new content and more at formed.org. Don’t forget to log-in with your CMF CURO code found on your dashboard!